It&apos;s looking like another beautiful June weekend in Loudoun and, of course, there is always lots for you to enjoy with family and friends. Eat a delicious meal with crafted cocktails at Catoctin Creek Distilling Company. 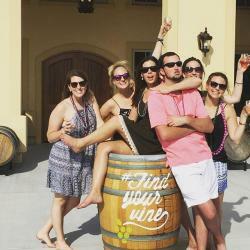 Enjoy a Cajun Festival at Breaux Vineyards. Celebrate the newest addition to the LoCo Ale Trail by visiting Solace Brewing Company. Plus, there&apos;s so much more! 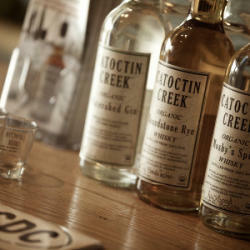 Join Catoctin Creek Distilling Company for a night to remember. Dinner will be a four-course affair using seasonal produce and local suppliers and prepared by local Wandering Chefs Wes Rosati and Mario Aros. In addition to a delicious meal, enjoy a private tour of the distillery while they personally craft cocktails to be paired with your dinner. This will be one magical evening so make sure you don&apos;t miss it by getting your tickets now. Breaux Vineyards is so excited to celebrate 20 years of the Cajun Festival! Enjoy wine tastings, craft vendors, Cajun fare and more at this annual celebration of our Cajun heritage. Starting off the day with live music from the Voodoo Blues Band and a variety of food vendors plus crawfish from Savoir Fare Limited. There are activities for the whole family so make sure to head over to the winery this Saturday. 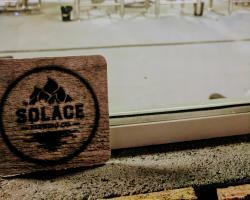 Solace Brewing Company will become the newest stop on the LoCo Ale Trail this Saturday June 10th during their grand opening. Starting with a ribbon cutting that morning, Solace will open their doors to all of the craft beer lovers and encourage everyone to #FindYourSolace while enjoying great Loudoun brews, local food from Buffalo Wing Factory and live music all weekend long.